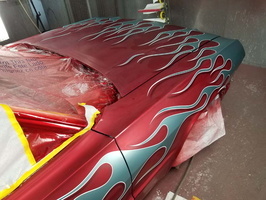 The car arrived at our shop primed. 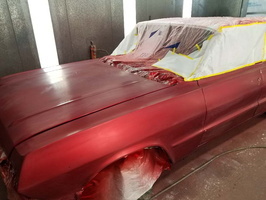 Normally we do the jams after all the prep is done, but in this case, we found out the previoius paint job was botched after we did the jams. 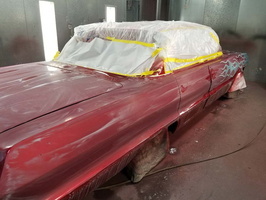 So we had to strip car, mask up jams and prime and prep. 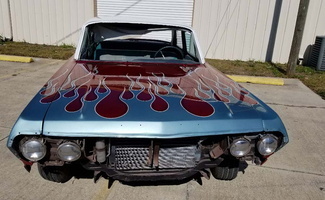 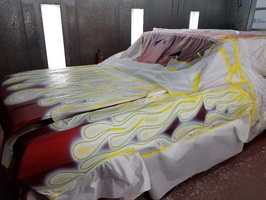 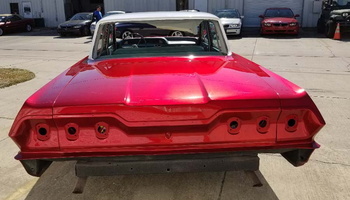 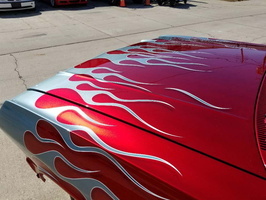 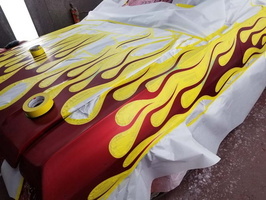 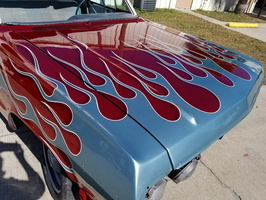 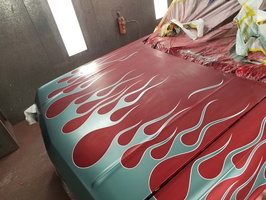 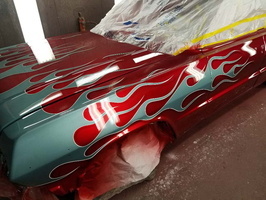 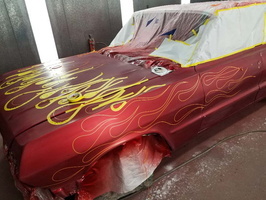 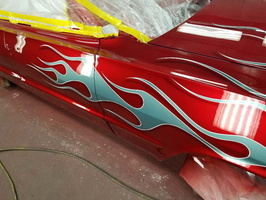 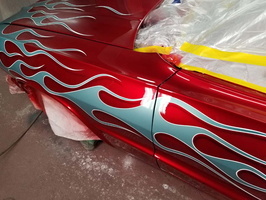 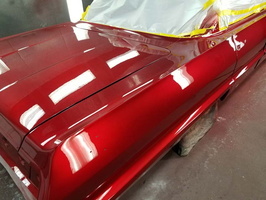 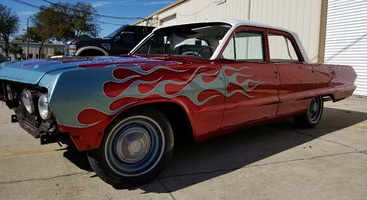 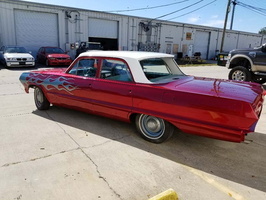 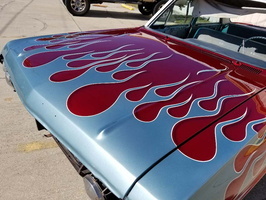 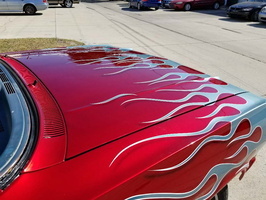 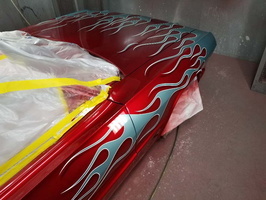 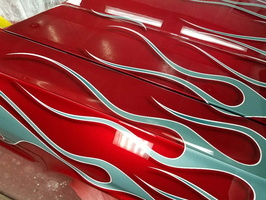 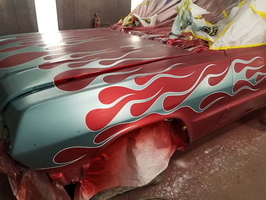 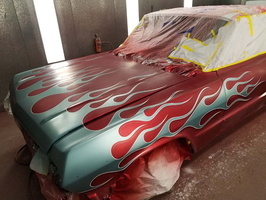 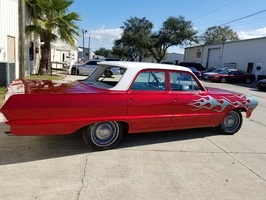 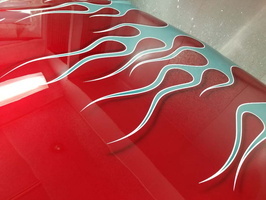 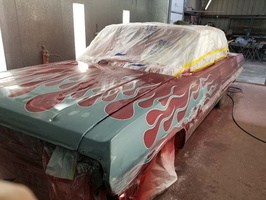 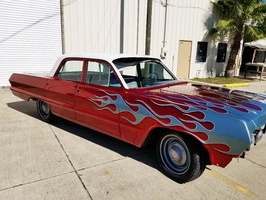 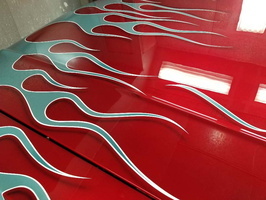 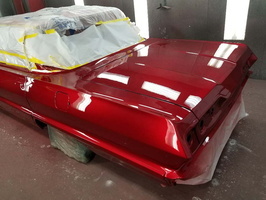 We repaint the car in beautiful candy red with flames and white outline. 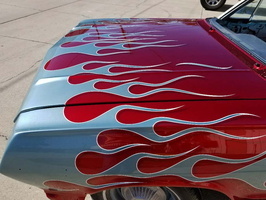 Also did drop shadows outside the flames to give the flames a "hover" effect. 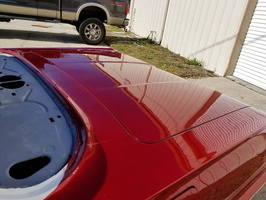 The roof was painted white. 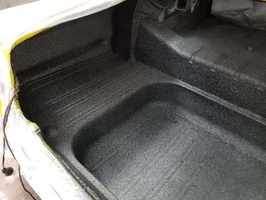 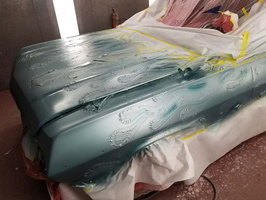 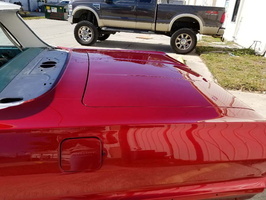 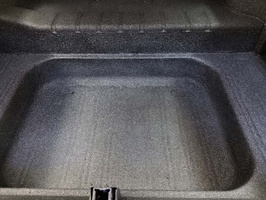 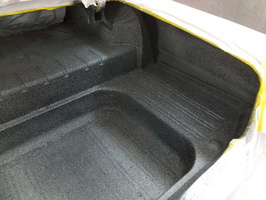 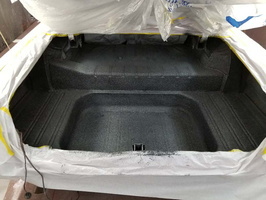 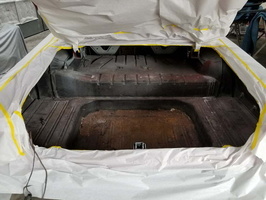 We also painted the hood underside satin black and inside the trunk in bedliner with custom "splatter" in white and gray.